Colonel Reginald Edward Harry Dyer CB (9 October 1864 – 23 July 1927) was an Indian-born officer of the Bengal Army and later the newly constituted Indian Army. His military career began serving briefly in the regular British Army before transferring to serve with the Presidency armies of India. As a temporary brigadier-general he was responsible for the Jallianwala Bagh massacre in Amritsar (in the province of Punjab). He has been called "the Butcher of Amritsar", because of his order to fire repeatedly on a crowd of peaceful protestors. This resulted in the killing of at least 379 people and the injuring of over a thousand more. Subsequently Dyer was removed from duty and widely condemned both in Britain and India, but he became a celebrated hero among some with connections to the British Raj. Some historians argue the episode was a decisive step towards the end of British rule in India. Dyer was born in Murree, in the Punjab province of British India, which is now in Pakistan. He was the son of Edward Abraham Dyer, a brewer who managed the Murree Brewery, and Mary Passmore. :3 He spent his childhood in Murree and Shimla and received his early education at the Lawrence College Ghora Gali, Murree and Bishop Cotton School in Shimla. He attended Midleton College in County Cork, Ireland between 1875 and 1881. In 1885, soon after graduating from the Royal Military College, Sandhurst, Dyer was commissioned into the Queen's Royal Regiment (West Surrey) as a lieutenant, and performed riot control duties in Belfast (1886) and served in the Third Burmese War (1886–87). He was then transferred to the Bengal Army, initially joining the Bengal Staff Corps as a lieutenant in 1887. He was attached to the 39th Bengal Infantry, later transferring to the 29th Punjabis. He married Frances Annie Ommaney, the daughter of Edmund Piper Ommaney, on 4 April 1888, in St Martin's Church, Jhansi, India. The first of their three children, Gladys, was born in Simla, India, in 1889. Dyer served in the latter in the Black Mountain campaign (1888), the Chitral Relief (1895) (promoted to captain in 1896) and the Mahsud blockade (1901–02). In 1901 he was appointed a deputy assistant adjutant general. In August 1903 he was promoted to major, and served with the Landi Kotal Expedition (1908). He commanded the 25th Punjabis in India and Hong Kong and was promoted to lieutenant-colonel in 1910. During the First World War (1914–18), he commanded the Seistan Force, for which he was mentioned in dispatches and made a Companion of the Order of the Bath (CB). He was promoted colonel in 1915, and was promoted to temporary brigadier general in 1916. In 1919, about a month after the Jallianwala Bagh massacre, in the Third Anglo-Afghan War, his brigade relieved the garrison of Thal, for which he was again mentioned in dispatches. For a few months in 1919 he was posted at the 5th Brigade at Jamrud. He retired on 17 July 1920, retaining the rank of colonel. The shooting of protesters resulted in a mob forming and returning to the city centre, setting fire to government buildings and attacking Europeans in the city. Three British bank employees were beaten to death, and Miss Marcella Sherwood, who supervised the Mission Day School for Girls, was cycling around the city to close her schools when she was assaulted by a mob in a narrow street called the Kucha Kurrichhan. Sherwood was rescued from the mob by locals. :237-239 They hid the teacher, who was hurt in the beating, before moving her to the fort. Dyer, who was the commandant of the infantry brigade in Jalandhar, decided to take action. He arrived on 11 April to assume command. Though authorities initially claimed that the massacre was triggered by the assault on Sherwood, regimental diaries reveal that this was merely a pretext. Instead, Dyer and O'Dwyer feared an imminent mutiny in Punjab similar to the Indian Rebellion of 1857. Dyer is infamous for the orders that he gave on 13 April 1919 in Amritsar. It was by his command that 50 troops, including 25 Gurkhas of 1/9 Gurkha Rifles (1st battalion, 9th Gurkha Rifles), 25 Pathans and Baluch, 54th Sikhs and 59th Sindh Rifles, all armed with .303 Lee–Enfield rifles, opened fire on a non-violent gathering of unarmed civilians, men, women and children, at the Jallianwalla Bagh, in what later came to be known as the Amritsar massacre. The civilians had assembled at Jallianwala Bagh to participate in the annual Baisakhi celebrations which are both a religious and a cultural festival of the Punjabis. Coming from outside the city, they may have been unaware of the martial law that had been imposed. The Bagh-space comprised 6 to 7 acres (2 to 3 ha) and was walled on all sides, except for five entrances. Four of the entrances were very narrow, admitting only a few people at a time. The fifth entrance was blocked by the armed soldiers, as well as by two armoured cars with machine guns. The vehicles were unable to pass through the entrance. Upon entering the park, the general ordered the troops to shoot directly into the gathering. The shooting continued unabated for about 10 minutes, and the soldiers' supply of 1,650 rounds of ammunition was almost exhausted. Dyer is reported to have, from time to time, "checked his fire and directed it upon places where the crowd was thickest", not because the crowd was slow to disperse, but because he "had made up his mind to punish them for having assembled there." Some of the soldiers initially shot into the air, at which Dyer shouted: "Fire low. What have you been brought here for?" Later, Dyer's own testimony revealed that the crowd was not given any warning to disperse and he was not remorseful for having ordered his troops to shoot. The Hunter Commission report on the incident, published the following year by the Government of India, criticised both Dyer, and the Government of the Punjab for failing to compile a casualty count, so quoted a figure offered by the Sewa Samati (A Social Services Society) of 379 identified dead, comprising 337 men, 41 boys and a six-week old baby, with approximately 1,100 wounded, of which 192 were seriously injured.. However other estimates, from government civil servants in the city (commissioned by the Punjab Sub-committee of Indian National Congress), as well as counts from the Home Political, cite numbers of well over a thousand dead. According to a Home Political Deposit report, the number was more than 1,000, with more than 1,200 wounded. Dr Smith, a British civil surgeon at Amritsar, estimated that there were over 1,800 casualties. In India, the deliberate infliction of these casualties earned Dyer the epithet of the "Butcher of Amritsar". You people know well that I am a Sepoy and soldier. Do you want war or peace? If you wish for a war, the Government is prepared for it, and if you want peace, then obey my orders and open all your shops; else I will shoot. For me the battlefield of France or Amritsar is the same. I am a military man and I will go straight. Neither shall I move to the right nor to the left. Speak up, if you want war? In case there is to be peace, my order is to open all shops at once. You people talk against the Government and persons educated in Germany and Bengal talk sedition. I shall report all these. Obey my orders. I do not wish to have anything else. I have served in the military for over 30 years. I understand the Indian Sepoy and Sikh people very well. You will have to obey my orders and observe peace. Otherwise the shops will be opened by force and Rifles. You will have to report to me of the Badmash. I will shoot them. Obey my orders and open shops. Speak up if you want war? You have committed a bad act in killing the English. The revenge will be taken upon you and upon your children. Dyer designated the spot where Marcella Sherwood was assaulted sacred. Daytime pickets were placed at either end of the street. Anyone wishing to proceed in the street between 6am and 8pm was made to crawl the 200 yards (180 m) on all fours, lying flat on their bellies. The order was not required at night due to a curfew. The order effectively closed the street. The houses did not have any back doors and the inhabitants could not go out without climbing down from their roofs. This order was in effect from 19 April until 25 April 1919. A Committee of enquiry, chaired by Lord Hunter, was established to investigate the massacre. The committee's report criticised Dyer, arguing that in "continuing firing as long as he did, it appears to us that Colonel Dyer committed a grave error." Dissenting members argued that the martial law regime's use of force was wholly unjustified. "Colonel Dyer thought he had crushed the rebellion and Sir Michael O'Dwyer was of the same view," they wrote, "(but) there was no rebellion which required to be crushed." Dyer was met by Lieutenant-General Sir Havelock Hudson, who told him that he was relieved of his command. He was told later by the Commander-in-Chief in India, General Sir Charles Monro, to resign his post and that he would not be reemployed. Dyer tried to win over the Sikhs as best as he could. He forced the manager of the Golden Temple, and Sunder Singh Majithia, to use their influence over the Sikhs, in favour of the government. As a result, priests of the Golden Temple invited him to the sacred shrine and presented him with a Siropa (turban and sword). Rudyard Kipling, who claimed Dyer was "the man who saved India", is alleged to have started a benefit fund which raised over £26,000 sterling, including £50 for Dyer contributed by Kipling himself. However, Subhash Chopra, in his book Kipling Sahib – the Raj Patriot (2006), writes that the benefit fund was started by the Morning Post newspaper and not by Kipling and that Kipling made no contribution to the Dyer fund. Pandit Motilal Nehru, father of Jawaharlal Nehru, the first Prime Minister of India, who called the massacre the "saddest and most revealing of all". Rabindranath Tagore, the first Asian Nobel Laureate and distinguished Indian educator, who renounced his knighthood in protest against the massacre and said, "a great crime has been done in the name of law in the Punjab". Sir Shankaran Nair, who resigned his membership of the Viceroy's Executive Council in the Legislative Council of Punjab in protest at the massacre. Punjab Legislative Council members Nawab Din Murad and Kartar Singh, who described the massacre as "neither just nor humane." Charles Freer Andrews, an Anglican priest and friend of Gandhi, who termed the Jallianwala Bagh massacre as a "cold-blooded massacre and inhumane." 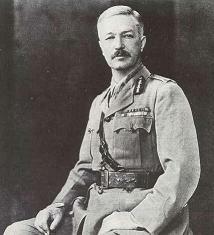 Brigadier-General Surtees, who stated in the Dyer debate that "we hold India by force – undoubtedly by force". Former Prime Minister and leader of the Liberal Party H. H. Asquith, who observed: "There has never been such an incident in the whole annals of Anglo-Indian history, nor, I believe, in the history of our empire since its very inception down to present day. It is one of the worst outrages in the whole of our history." B. G. Horniman, who observed: "No event within living memory, probably, has made so deep and painful impression on the mind of the public in this country [England] as what came to be known as the Amritsar massacre." During the Dyer debates in the Parliament of the United Kingdom, there was both praise and condemnation of Dyer. In 1920, the British Labour Party Conference at Scarborough unanimously passed a resolution denouncing the Amritsar massacre as a "cruel and barbarous action" of British officers in Punjab, and called for their trial, the recall of Sir Michael O'Dwyer and the Viceroy, Lord Chelmsford, and the repealing of repressive legislation. Churchill, the then Secretary of State for War, wanted Dyer to be disciplined, but the Army Council superseded by him decided to allow Dyer to resign with no plan for further punishment. Following Churchill's speech defending the council's decision and a debate in Parliament, on 8 July 1920 MPs voted for the government by a majority of 247 to 37; a motion calling for approval of Dyer's actions was defeated by a majority of 230 to 129. The Morning Post had supported Dyer's action on the grounds that the massacre was necessary to "Protect the honour of European Women". Dyer acquired a farm at Ashton Fields, Ashton Keynes, Wiltshire, which was still given as his address when he died, although in 1925 he had bought a small cottage at Long Ashton on the outskirts of Bristol and spent his last two years there, while one of his sons lived at the farm. Dyer made a series of three conflicting sets of statements about his motives and actions. At first, immediately after he carried out the massacre, he made a series of partial but slightly varying explanations with the aim of exonerating himself from any blame. Later, after receiving approval for his actions from all his superiors in India, both civil and military, Dyer stated that his actions were a deliberate attempt to punish people he believed were rebels, and to make an example for the rest of the Punjab that would stop what he regarded as a rebellion. Finally, on Dyer's return to England in disgrace in 1920, his lawyers argued that his actions, though deliberate and premeditated, were justified because he was facing an insurrection and that, on those grounds, any amount of firing was permissible. It is only to an enlightened people that free speech and a free press can be extended. The Indian people want no such enlightenment. There should be an eleventh commandment in India, "Thou shalt not agitate". The time will come to India when a strong hand will be exerted against malice and 'perversion' of good order. Gandhi will not lead India to capable self-government. The British Raj must continue, firm and unshaken in its administration of justice to all men. In his official response to the Hunter commission that inquired into the shooting, Dyer was unremorseful and stated: "I think it quite possible that I could have dispersed the crowd without firing but they would have come back again and laughed, and I would have made, what I consider, a fool of myself." However, in his account of the massacre Nick Lloyd claims that although Dyer later claimed to have undertaken the massacre to "save" British India, he had had no such idea in his mind that fateful afternoon. As well as being "dazed and shaken up" – hardly the response of a soldier who had had murder in his mind – all the witnesses recall how Dyer "was unnerved and deeply upset about what had happened". Nigel Collett - author of the biography The Butcher of Amritsar - is convinced that the Amritsar massacre preyed on Dyer's mind from the very day he opened fire. "He spent the rest of his life trying to justify himself. He persuaded himself it had been his duty to act as he did, but he could not persuade his soul that he had done right. It rotted his mind and, I am guessing here, added to his sickness." Collett, in his book, portrays Dyer as a man who got on extremely well with his men and his juniors, while his contemporaries and seniors were always wary of him. When he approached a complex political problem, his one thought was to have order; his one tool to get it was the gun. He notes that, at the time of the Amritsar massacre, Dyer was wracked by ill-health and separated from his beloved family. Collett speculates that perhaps this encouraged Dyer's extreme view that the Punjab was on the brink of rebellion, with the empire about to collapse, and feared a mutiny like that of 1857. The solution, he decided, was not just to restore order but to show that the state was in charge. It was not enough to have shops and businesses reopen in Amritsar - an example was needed of the consequences of insubordination. Collett quotes Dyer himself on the motivations that drove him to act as he did: "...It was no longer a question of merely dispersing the crowd but one of producing a sufficient moral effect, from a military point of view, not only on those who were present but more specially throughout the Punjab. There could be no question of undue severity. The mutineers had thrown out the challenge and the punishment, if administered at all, must be complete, unhesitating and immediate." So many people who knew the condition of Amritsar say I did right...but so many others say I did wrong. I only want to die and know from my Maker whether I did right or wrong. The Morning Post remembered him in an article titled "The Man Who Saved India" and "He Did His Duty" but the (Liberal) Westminster Gazette wrote a contrary opinion: "No British action, during the whole course of our history in India, has struck a severer blow to Indian faith in British justice than the massacre at Amritsar." Historian Gordon Johnson commented that "...Dyer's actions ran counter to Army regulations. These required that force should be constrained by what was reasonable to achieve an immediate objective; minimum, not maximum, force should be deployed. Moreover, proper warning had to be given. On April 13, 1919, as demonstrated by Collett, Dyer ignored this. While he may have believed the Raj was threatened, and may have thought the mob was out to attack him and his soldiers, this does not justify his cavalier abuse of procedure and his indifference to Indian suffering. In so behaving, he brought not only death to the innocent but also destroyed himself and undermined the empire in which he took so much pride." Although still owning property in Wiltshire, Dyer died at his cottage in Somerset, St Martin's, Long Ashton, near Bristol. He left an estate valued at £11,941, equivalent to £700,111 in 2018. Dyer is played by Edward Fox in the 1982 film Gandhi. A fictionalised account of Dyer's actions in Amritsar is contained in the 1981 prize winning novel Midnight's Children, by author Salman Rushdie (see List of Midnight's Children characters). Sir Michael O'Dwyer, Lieutenant-Governor of Punjab from 1912 to 1919, endorsed Dyer and called the massacre a "correct" action. Some historians now believe he premeditated the massacre and set Dyer to work. Many Indians blamed O'Dwyer, and while Dyer was never assaulted, O'Dwyer was assassinated in London in 1940 by Sardar Udham Singh in retaliation for his role in the massacre. In 1888 Dyer married Frances Anne Trevor Ommaney; they had one daughter (Gladys Mary, born 1889) and two sons (Ivon Reginald, born 1895 and Geoffrey Edward MacLeod, born 1896). ^ a b c d e f g h Collett, Nigel (2006). The Butcher of Amritsar: General Reginald Dyer. Continuum International Publishing Group. ISBN 9781852855758. ^ "Amritsar and the Irish connections". Irish Medical Times. 29 September 2009. Retrieved 13 April 2019. ^ "No. 30360". The London Gazette (Supplement). 30 October 1917. p. 11270. ^ "No. 29924". The London Gazette (Supplement). 30 January 1917. p. 1058. ^ "No. 31787". The London Gazette (Supplement). 17 February 1920. p. 2046. ^ "No. 29509". The London Gazette (Supplement). 14 March 1916. p. 2902. ^ "No. 30617". The London Gazette (Supplement). 5 April 1918. p. 4273. ^ "No. 31823". The London Gazette (Supplement). 12 March 1920. p. 3278. ^ Athale, Rtd. Colonet Anil. "What will be history's verdict on the Ramlila maidan eviction?". columnist. rediff.com. Retrieved 9 June 2011. ^ Disorder Inquiry Committee Report, Vol II, p 191. ^ a b c Report of Commissioners, Vol I, II, Bombay, 1920, Reprint New Delhi, 1976, p 56. ^ Jallianwala Bagh Massacre, A Premeditated Plan, Punjab University Chandigarh, 1969, p 89, Raja Ram; A Saga of Freedom Movement and Jallianwala Bagh, Udham Singh, 2002, p 141, Prof (Dr) Sikander Singh. ^ See: Report of Commissioners, Vol I, II, Bombay, 1920, Reprint New Delhi, 1976, p 55-56. ^ Statement of Eyewitness Mr Girdhari Lal, who happened to watch the scene from the window of his house overlooking the Jallianwala Bagh: Ref: Report of Commissioners, Vol I, II, Bombay, 1920, Reprint New Delhi, 1976, p 10-11. ^ Collett, Nigel (2006). The Butcher of Amritsar: General Reginald Dyer. Continuum. ISBN 978-1852855758. ^ "Some Indians crawl face downwards in front of their gods. I wanted them to know that a British woman is as sacred as a Hindu god and therefore, they have to crawl in front of her too" Talbott, Strobe (2006). Engaging India: diplomacy, democracy, and the bomb. Brookings Institution Press. p. 245. ISBN 978-0-8157-8301-5. ^ Kent, Susan Kingsley (2009). Aftershocks: politics and trauma in Britain, 1918–1931. University of California. p. 37. ISBN 978-1-4039-9333-5. ^ Brown, Judith M. (26 September 1974). Gandhi's Rise to Power: Indian Politics 1915-1922. ISBN 9780521098731. ^ Singh, Khushwant (2004). A History of the Sikhs: 1839–2004. Oxford University Press. p. 167. ISBN 9780195673098. ^ Thakur, Sankarshan (21 February 2013). "History repeats itself, in stopping short". The Telegraph. Calcutta, India. Retrieved 12 August 2013. ^ Chopra, Subhash (2016). Kipling Sahib: The Raj Patriot. New Millennium. ISBN 978-1858454405. ^ Tribune, Lahore, 16 April 1919, see Government of India, Home Department, Political Deposit, August 1919, No 52, National Archives of India, New Delhi. ^ a b Punjab Legislative Council Proceedings, 23 Feb 1921, Vol I I. ^ a b Home Political, K. W., A, 20 June 1920, Nos 126–194, National Archives of India, New Delhi. ^ Arthur Swinson, Six Minutes of Sunset, London, 1964, p 210; cited in Psycho-Political compulsions of Jallinawala Bagh by Gurcaharan Singh, op cit, p 156. ^ Mr. Churchill, The Secretary of State for War (8 July 1920). "Were we right in accepting, as we have done, the conclusion of the Army Council as terminating the matter so far as Colonel Dyer was concerned, or ought we to have taken further action of a disciplinary or quasi-disciplinary character against him?". Parliamentary Debates (Hansard). House of Commons. col. 1725–1726. ^ Hansard, 5th sec. Commons, quoted by Derek Sayer, British Commemoration of Amritsar Volume, Patiala, 1997, p 24. ^ "Background and Commentary of Winston Churchill's 1920 British House of Commons Amritsar Massacre Speech". ^ "Winston Churchill - Amritsar Massacre Speech - July 8th 1920, House of Commons". ^ Morning Post, cited in Derek Sayer, British Reaction of Amritsar massacre, 1919–20, reprinted in Jallianwala Bagh Commemoration Volume, Patiala, 1997, p 45. ^ a b "Nigel Collet's Review of Nick Lloyd's Book on the Amritsar Massacre". 17 July 2012. Must we continue to try to evade the fact that sometimes those who ran the Empire were capable of catastrophic failures of judgment? To do so in the Amritsar affair rights no historic wrongs but only embitters once more our relations with the descendants of those who were the real victims of this tragedy, the Indians Dyer killed. This is not just a matter of being right about the past. We need to understand the history of abuses like the Amritsar massacre so that if we follow political paths that put us in similar positions in the future, we shall go down them knowing not what may, but what will, transpire. ^ "Colonel Dyer was hardly remorseful for Jallianwala massacre". ^ Lloyd, Nick (2011). The Amritsar Massacre: The Untold Story of One Fateful Day (Rev ed.). I.B.Tauris. ISBN 978-0857730770. Retrieved 2 July 2018. ^ "Dyer consequences - interview with Nigel Collett". He (Dyer) was not racially prejudiced; his prejudices were anti-civilian... He was personally interested in his men, of whatever race. He enjoyed their company, liked talking to them directly in his tent and bungalow, recommended many of them for bravery and service awards and defended them against civilians. He took great interest in getting them better rations, finding them good billets, requisitioned fans and bicycles for them (all taken from civilians), whether they were British soldiers or Indian. They loved him in return. He was physically a very brave man, renowned for his courage. Collett's answer is: My interpretation is that Dyer did what he did to assuage his deep-seated fears that the India that was his whole life, and the safety of his family, were under threat in a new mutiny in Punjab in 1919, and that, in Amritsar, he could stop it. But the explanations he gave later for his actions were confusing and unconvincing. ^ a b "A family man whose bloody disposition sent the British into a spin". 24 February 2006. Dyer faced the traumas of boarding school in Ireland and the trials of getting through Sandhurst and obtaining a commission without the help of patrons. He was a man with considerable mathematical and linguistic abilities, but one who never quite fitted in. He married young, thus missing out on the comradely life of a young subaltern. He was never in quite the right place at the right time to see major action; he had a short temper; his promotions were slow in coming and too often in an acting capacity only. He got on extremely well with his men and his juniors, while his contemporaries and seniors were always wary of him. ^ "Gandhi". IMDB. Retrieved 14 April 2019. ^ "Indian pop video honours activist's 1940 killing of British official". The Guardian. 31 July 2015. Retrieved 26 June 2017. Colvin, Ian (1929). The Life Of General Dyer. London: William Blackwood And Sons. Collett, Nigel (2005). The Butcher of Amritsar: General Reginald Dyer. Bloomsbury. ISBN 978-1852855758. Draper, Alfred (1981). The Massacre that Ended the Raj. London.